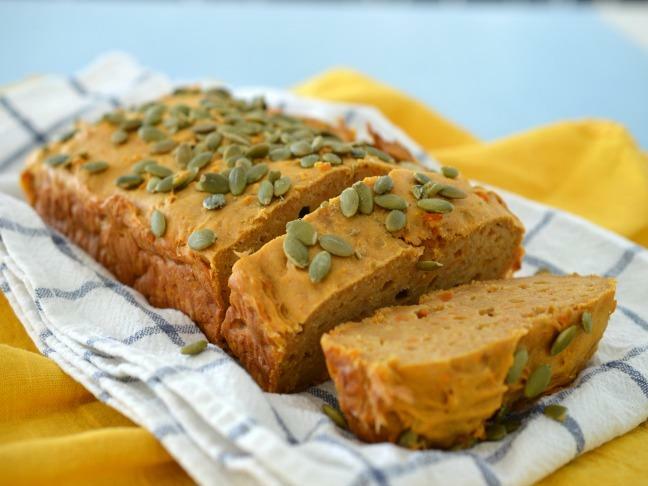 This easy Sweet Potato Loaf recipe makes a great snack for the entire family! I’m all for trying to add extra vegetables into my kids (ok, and mine as well!) diets, however this can be a struggle at times. 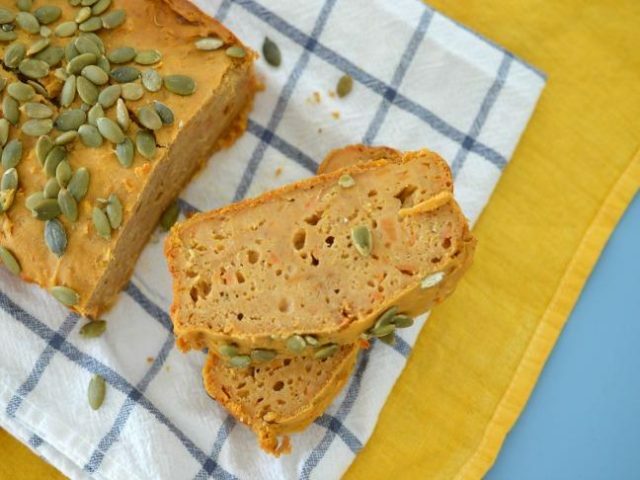 This Sweet Potato Loaf is the answer, it gives us a nutritional boost thanks to it’s high sweet potato content and even better, the kids think they are getting a treat – yay! 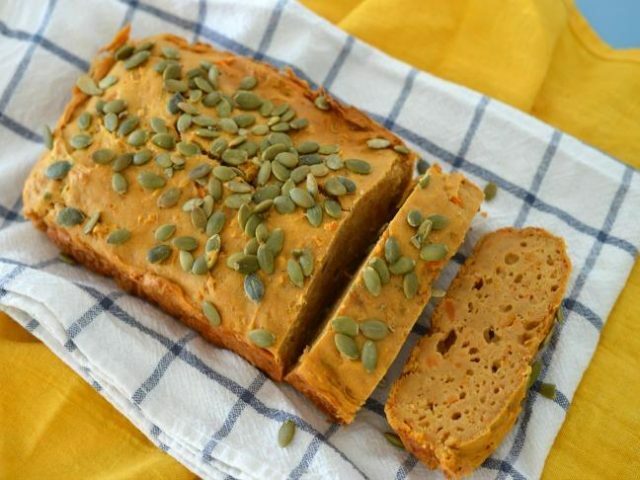 This recipe makes a lovely and dense loaf and with no added sugar, it gets its sweetness from the baked sweet potato. Sweet Potato is a great source of dietary fibre, niacin, folate, magnesium and calcium and thanks to sweet potatoes having a low GI, it will help you feel fuller for longer, making this a great lunchbox snack or even breakfast – try lightly toasting it under the grill and add a little honey! 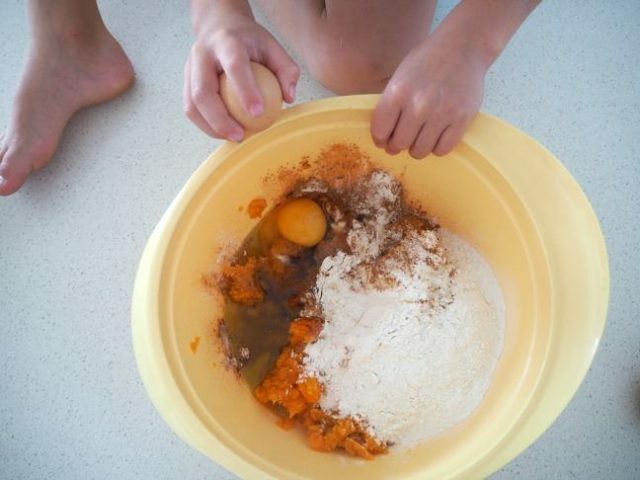 You only need five ingredients to put it together and given the simplicity of the method, it’s also a great one for the kids to help you with – my boys loved helping me mash and stir the mixture! Pre-heat your oven to 180℃ fan-forced and line the base and sides of a large loaf tin. 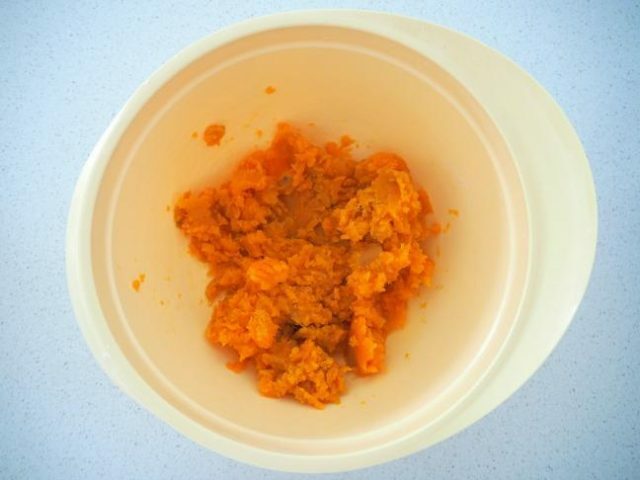 Place the sweet potato into a large bowl and mash. Add the self-raising flour, eggs, cinnamon, extra virgin olive oil, milk and salt and mix to combine. Transfer the mixture to your prepared loaf tin and gently smooth the surface. Sprinkle the pepitas over the top and bake for 45 minutes or until cooked through when tested with a skewer. For more information about this nutritional powerhouse veggie, check out Australian Sweet Potatoes. Lauren is the founder and editor of Create Bake Make and co-editor of Thermobliss where she shares simple, easy recipes the kids can help make and the entire family will enjoy. 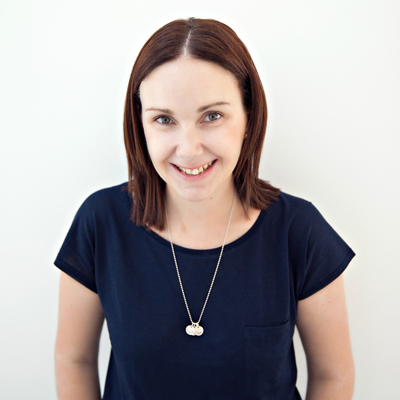 Lauren is also a mum to two little boys so when she isn't baking up a storm in the kitchen, she's breaking up arguments over toy trucks. In her rare quiet moments, Lauren enjoys a hot cup of coffee and indulging her reality TV and online shopping addictions. Follow Lauren on Facebook, Instagram and Pinterest for more great recipe ideas.